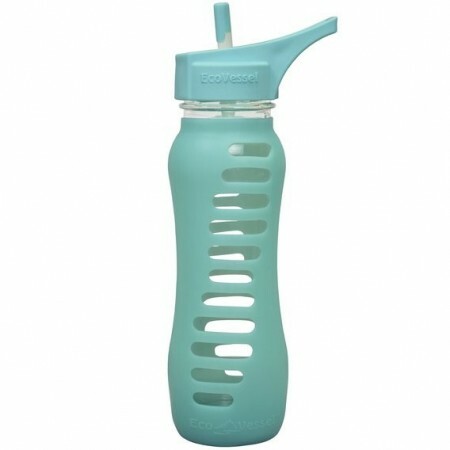 Eco Vessel straw cap glass bottle with silicone sleeve featuring a stripe pattern. 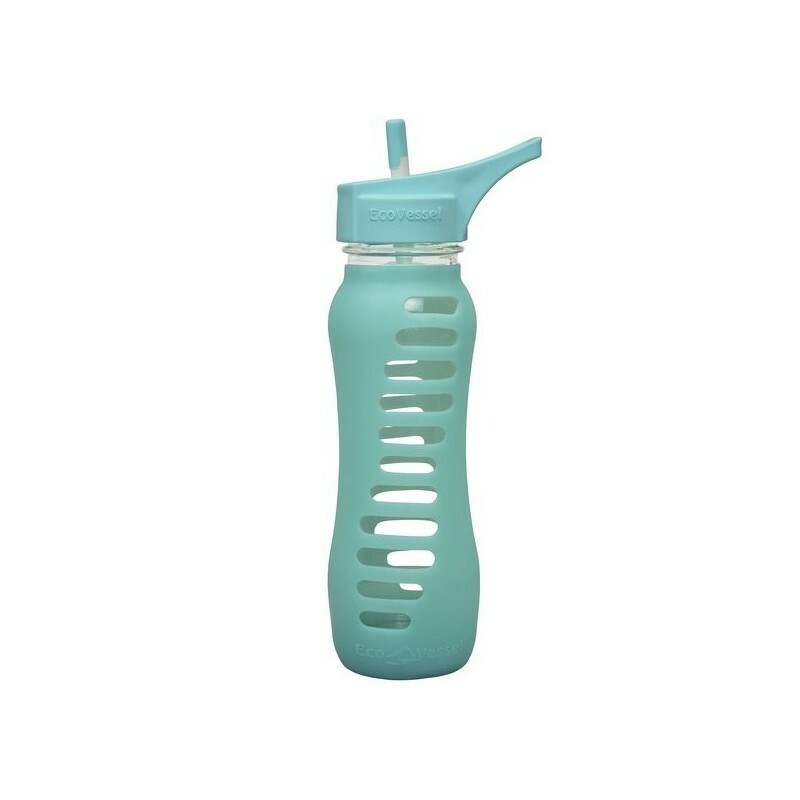 The flip-up straw cap is great for exercise or when you are on the go for ease of drinking. 650ml. Aqua Wave colour. Made from up to 60% recycled glass, a material that is safe and hard wearing. Protective silicone sleeve, with padded Drop Shield base, provides a non-slip gripping surface that helps prevent breakage. With glass, there is no chemical leaching and no metallic taste. Widemouth bottle make it easy to add ice or citrus slices. Dishwasher safe (place cap on top rack/no need to remove silicone sleeve). To be used for cold drinks only. Not suitable for hot liquids. Straw cap is not 100% leak-proof. 650ml (22oz). 25cm tall (27cm to top of handle). Glass bottle and silicone sleeve. Browse our other glass water bottles.